Coho salmon spawn in freshwater. Salmon use their powerful sense of smell in almost every vital endeavor, and even low exposure to organophosphate pesticides can permanently impair this sense. 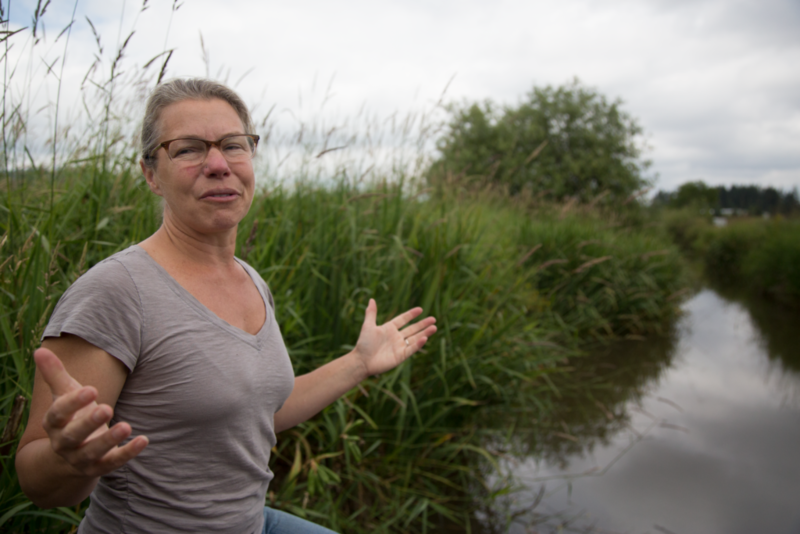 BORING, Oregon – Right under the highway and wedged between a plant nursery and an auto manufacturer, a toxic trickle flows. This tributary of the Clackamas River is hardly an inviting sight. Once clear and gurgling, its muddy water barely moves, and plastic bags bunch along its shoreline. 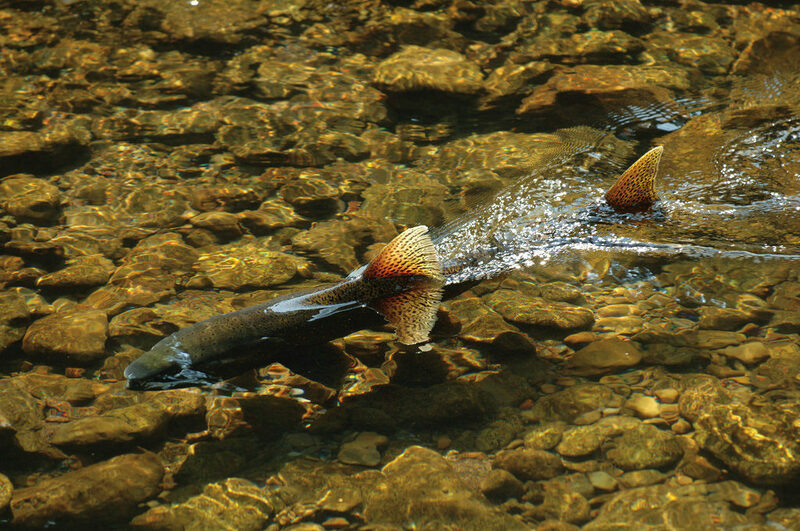 Salmon in this river – and throughout much of the Pacific Northwest – have dwindled from an onslaught of threats, including dams and overfishing. Scientists say pesticides from nearby farms are pushing them closer to extinction. Three federal environmental agencies are reshaping the scientific methods used in their reviews at the request of pesticide manufacturers. Some researchers and advocates say that if these reviews, known as biological opinions, do begin again, this change could shift the results in favor of the pesticide industry – and away from protecting endangered wildlife. Two years later, the process the academy came up with was rather complex: It required three agencies – the EPA, U.S. 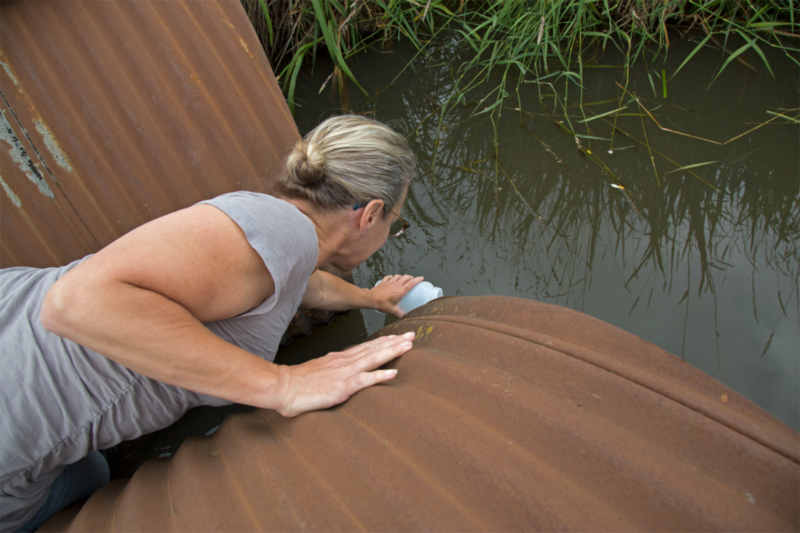 Fish and Wildlife Service and National Marine Fisheries Service – to report on the risks of every pesticide. To pilot this approach, the agencies started with malathion, chlorpyrifos and diazinon. Known as organophosphates, they are derived from chemicals developed in Nazi Germany as nerve gases. And they don’t harm just their targets. 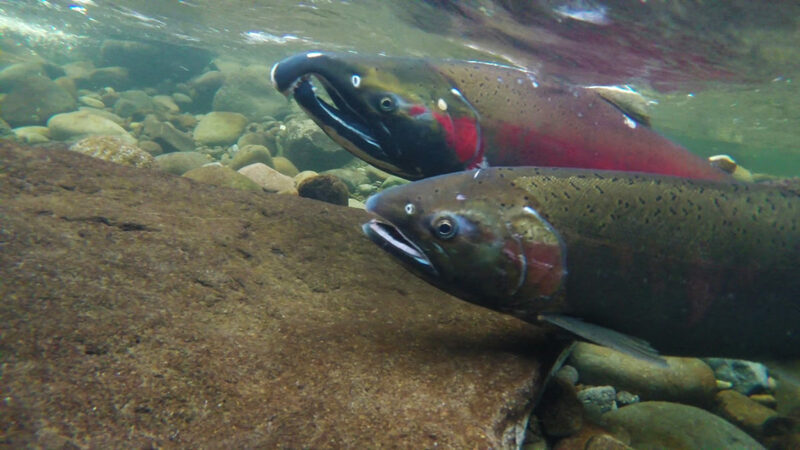 These chemicals alter salmon’s swimming patterns, reproductive systems and pursuit of prey, according to Nat Scholz, a scientist at the National Marine Fisheries Service who’s been studying organophosphates and salmon for decades. A salmon uses its powerful sense of smell – thousands of times better than a dog’s – in almost every vital endeavor, from finding food to avoiding predators and migrating. Even low exposure to organophosphates can permanently impair this sense. 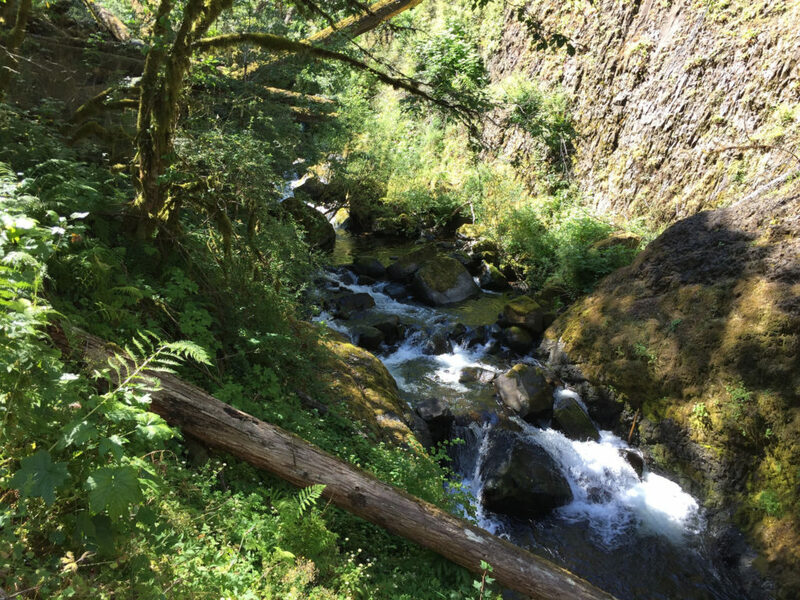 In one study, Scholz and other scientists found that any mix of malathion, diazinon and chlorpyrifos at concentrations as low as several parts per billion – including the levels of diazinon and chlorpyrifos found along the Clackamas – can harm or kill Coho salmon. In April 2017, 10 federal agencies and committees received a letter from David B. Weinberg, legal adviser to the three largest manufacturers of organophosphates – Dow AgroSciences LLC; Makhteshim Agan, now known as Adama; and FMC Corp.
Stark, the Washington State University professor, calls the documented effect of organophosphates and other pesticides on salmon “pretty incredible.” He said the National Marine Fisheries Service review was so thorough that it used population modeling, a complex tool that measures pesticides’ impact on individual species – something that no federal environmental risk assessment had included before. The report also traced the journeys of pesticides from spray to breakdown and developed toxicology reports. One month later, on March 23, the EPA reopened the biological opinion for comment. A month after that, the EPA and Fish and Wildlife Service held a meeting for representatives of the manufacturers of the organophosphates being examined. Participants included government scientists and representatives from FMC, Dow and Adama.. No environmental groups were invited. According to a record of the meeting, government scientists briefed applicants on how to comment on draft reports and updated them on the status of the pesticide consultation – an update the public and environmental advocates have yet to hear. Several days after the meeting, five pesticide businesses, coalitions and associations – including Adama and FMC – posted requests to extend the National Marine Fisheries Service review’s comment period 90 days, until Aug. 20. The EPA partially granted the request, extending it to July 23. Susie Neilson can be reached at sneilson@revealnews.org. Follow her on Twitter: @susieneilson. Three federal environmental agencies are reshaping the scientific methods used in their reviews at the request of pesticide manufacturers. Some researchers and advocates say that if these reviews, known as biological opinions, do begin again, this change could shift the results in favor of the pesticide industry – and away from protecting endangered wildlife. Officials from all three agencies held a meeting with key pesticide manufacturers, teaching them how to influence the reviews of their products. Manufacturers, in turn, schooled the government on what data to use. The agencies have granted repeated delays in the reviews to resolve questions posed by the companies that scientists say already have been addressed. One agency, the National Marine Fisheries Service, has rebuked its own 3,749-page report, which had documented that pesticides threaten half of the fish and other endangered species under its jurisdiction. A major pesticide manufacturer, Dow AgroSciences, has poured money into lobbying federal agencies and Congress to influence the endangered species review process. Its parent company, Dow Chemical Co., also donated to Trump’s inauguration, and several of its former higher-ups now hold prominent positions in agencies that regulate pesticides.